Pope Benedict XVI selected the current Bishop of Fort-Liberté, Mgr. Chibly Langlois, to become the new bishop of the Diocese of Les Cayes. Mgr. Chibly Langlois studied and obtained a degree in pastoral theology at the Pontifical Lateran University in Rome. He was nominated Bishop of Fort-Liberté by Pope John Paul II, on April 8, 2004. Born on November 29, 1958 in Jacmel, Mgr. 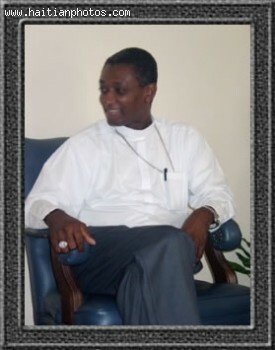 Chibly Langlois became vicar of the Cathedral of Jacmel and Director of the service diocesan pastoral of catechesis.